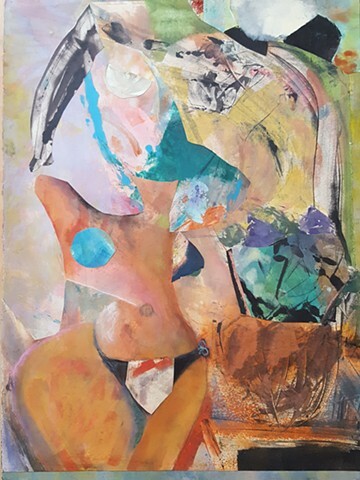 This is a one of a kind monoprint collage titled "Woman With Vase and Flowers". It is wild and colorful, and seems to sing with a kind of tropical joy. I love this piece. To make this, I cut up different monoprints and put them together to make this wild, crazy image.